Once I had created LFO Limiter, it occurred to me that I had missed one additional possibility for flexibility - it processed both stereo channels in the same way. So I duplicated the limiter section and produced the stereo version: LFO S Limiter ( available from MaxForLive.com ). The panel design isn't the prettiest I've done, but I struggled to find a way to have the two channels shown clearly. You can see the same dilemma in many of my devices that have two separate channels - Hairbrush is a good example where I have mirrored the two sides to see how that feels, but it isn't a perfect solution. There seem to be at least three different approaches to a two-channel layout, and I'm not sure which is the best one. Ableton use the 'Vertical Copy' layout in the 'Analog' synthesizer, and where you have a strong flow across, with two channels and a common 'central area', then it works nicely. But you only get a single row of controls, which tends to make the device wide, which can result in lots of scrolling left and right to get the correct device visible. So I added an LFO to the Limiter control and stripped out all of the comb filtering, resulting in LFO Limiter 0v01, where the depth of limiting changes over time. And because the Limiter depth control is adjusting multiple parameters inside the limiter library object, the LFO is doing something that would require very nimble finger movements on a conventional set of limiter controls. Limiter 0v01 has very few controls. The 'Quick/Smooth' time response mode switch is the same as in Comber, and the LFO is my usual free/sync sine wave taken from the MaxForLive examples. Because I'm trying to focus the attention of the user on the sound and not the technicalities, I have deliberately not put any animated display of the limiting process in action. After all, you don't show a representation of the comb filter spectral response in a phaser or flanger... Instead you get my standard 'Modulation slider' display that I tend to use whenever a value is modulated by an LFO - in this case the Limiter is modulated by the LFO Depth control. I much prefer bouncy little dots to the usual Ableton method of animating the modulated control (where the Limiter control rotates back and forth in time with the LFO modulation). 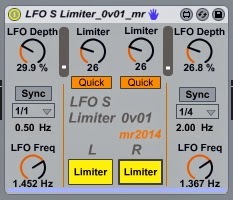 LFO Limiter should be on the MaxForLive.com site soon, and can produce some very unusual rhythmic and syncopated effects, particularly when preceded or followed by some echo. The best way to explore it is to start out with the LFO Depth set to zero, and just get familiar with the effect of the Limiter control: zero is no limiting, 100 is pure 'pumping'. A setting of about 30 is a good place to start introducing LFO modulation, and my initial preference was to match the LFO Depth and Limiter settings, so try 30 for the LFO Depth at first. (I did contemplate having a single control that replaced the two, but the 'same setting' for both is not always appropriate for some source material, so I have left them as two separate controls.) After that, just tweak and explore. Comber 0v01, my first MaxForLive comb filter suffers from a problem common to many systems with variable gain that include feedback. It has a tendency to go into oscillation, and because of the many modulation sources, the exact point at which it becomes unstable isn't easy to predict. Worse, the best sounds tend to occur just before it goes into the red. 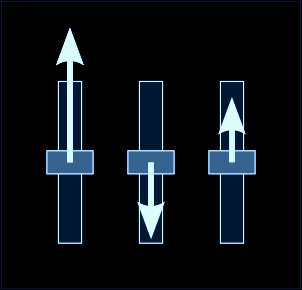 One of the traditional techniques that are often used to solve this is to use a compressor or a limiter in the feedback loop, so that the gain variation is controlled. The implementations vary - one old method involved using an incandescent light-bulb and a light-dependent-resistor. Max provides library objects that do limiting and compression, but they have a User Interface (UI) issue: too many inter-dependent controls. Limiters and compressors are powerful tools, but adding lots of controls to Comber just to make it more stable would make an already complex UI even more busy. So how could I add the minimum of controls but keep lots of versatility? I decided to try using one control to make several changes simultaneously in a limiter. 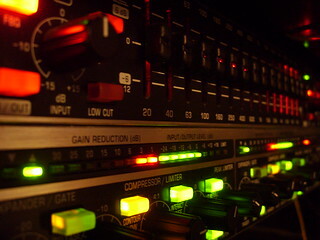 As the input gain increased, the limiter threshold would be reduced, and the output gain would increase. This way, the maximum level stays the same, but the amount of limiting that is applied can be controlled. I also enabled one additional control for time response, and here the library object provided fast and slow modes. So I had one rotary control and one switch, plus a 'Bypass' switch to remove the limiter from the output. The new controls could just be squeezed into Comber, and the testing showed that it made the effect much easier to use, although the limiting does alter the sound slightly, and on the higher settings, it does alter the dynamics quite a lot. And that's how Comber 0v02 was created! Comber has a lot of controls, so here's a quick guide to getting the most out of it. Start with the Feedback controls set to zero, the LFO Depths set to zero, and the Pan Depths set to zero. Dry/Wet should be at 100% (Wet), Make-up Gain should be about 100%, and the Comb Gain controls should be at their default 50 position. Try the Comb 'Freq' (frequency) control. This moves the notches up and down in pitch, and can make big changes to the timbre of the input. Experiment with increasing the Comb Feedback controls from zero, and see how they change the sound. Use the LFO Depth control to move the Comb Freq(uency). Moving combs always sound much better than static ones! The Pan Depth controls move the pan position of the two channels. The Limiter control starts out with no limiting at zero, and increases the amount of limiting (lower threshold) as you increase it towards 100. The maximum is a very non-subtle effect! When I created Comber, the dual comb filter with too many LFOs, I thought that I had taken the concept quite far enough. But tonight my inspirational muse struck, and before I knew it, there were four independently modulated comb filters, the same dual auto-panning, and joining them was an extra LFO to modulate the Wet/Dry mix. It is probably too many LFOs in one effect, but it is great fun to tweak. Exploring the possibilities could take some time. (I'm one of those synth freaks that has to set every LFO to a slightly different value, every VCO slightly detuned, every filter slightly modulated, etc. It is probably no surprise to learn that I loved the sound of the original (203a) Moog PolyMoog, but hated the design with all those voice cards that were a nightmare for maintenance.) But back to Hairbrush, and the same tweaking principles apply - LFOs to different frequencies, prime numbers rule when all else fails, and syncopation is your friend. I've always been fascinated by the direct physical reference that you get with 'comb' filters. Other filter types tend to have names that are 'frequency response'-oriented, and so have names like: notch, low-pass and high-pass. But a series of notches is called a 'comb', and indeed the description is apt and correct - the response with frequency does look like a comb! For such a shape of filter to have such an interesting effect on sound is a fascinating bonus. 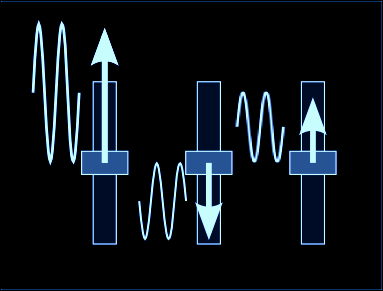 Resonant low-pass filters have that characteristic peak at the resonant frequency, whilst for comb filters it is the spacing between the notches that gives either a comb for linear spacing (as in a phase-shifter), or a coarse to fine spaced comb where the notches can match up to harmonics (as in a flanger). Because of the different ways that phasers and flangers typically implement comb filtering, flangers also introduce some time-modulation and time-delay effects (doppler shift and flutter echoes), but I really like either of the whooshy, resonant sounds produced by any modulated comb filter! As you might have realised, I have been playing with comb filters recently, and I have posted the results of this to the MaxForLive web-site. Comber is a pair of modulated delay-based comb filters that can operate independently on two stereo channels, and then can be auto-panned into the final mix stage - a stereo flanger is one way of describing it. The controls are in three sections. The LFO section modulates the delay time of the comb filter, and because this sounds like tuning the filter I have called it the 'Frequency'. The Feedback control is actually controlling the feedforward and feedback, and the Gain control allows extra tweakability (it controls the gain of the delay sections). The Pan section allows the two comb filters to be placed in the stereo image and moved around. Because the Feedback and Gain controls in the filter can provide a wide variation in gain, there is a compensating 'Make Up' volume controller next to the Dry/Wet mix control.